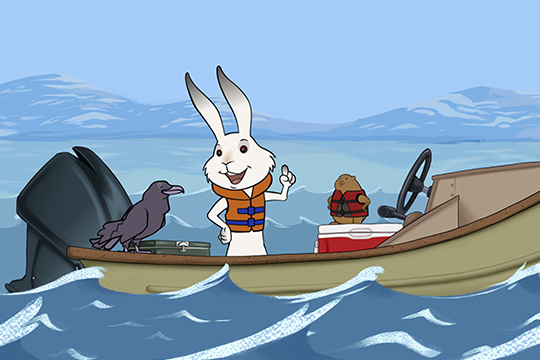 Ukaliq and Kalla Go Fishing is a story of two unlikely friends–a lemming and an Arctic hare–that decide to spend the day together ice fishing. The lemming embodies the calm, thoughtful nature of traditional hunters and those that live in the Arctic. This is contrasted with the well-meaning, but impatient Arctic rabbit. This is a fun, educational story that shows how important it is to be kind, thoughtful, and prepared for whatever comes.